Pull them down for privacy, or roll them up and they virtually disappear from your window leaving you to enjoy the view outside. Advances in fabric performance and technology have added new versatility. 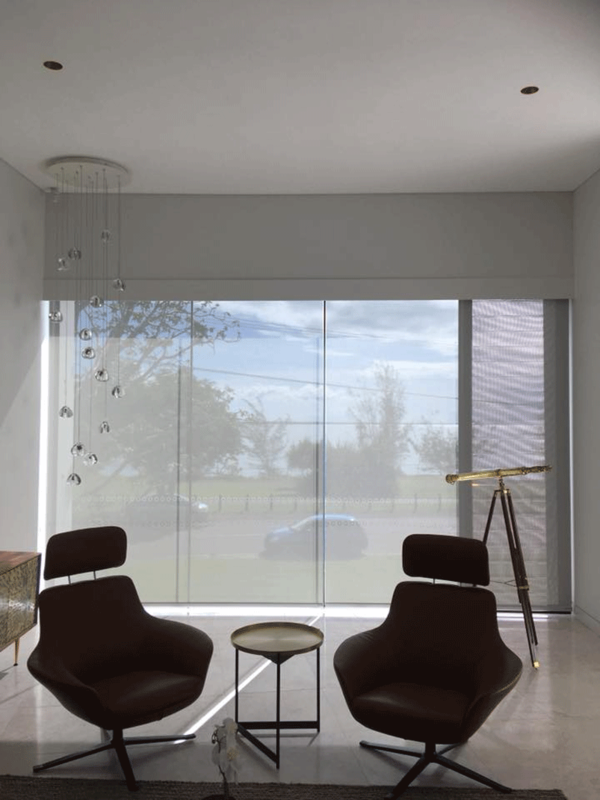 Now one of the most functional ways of managing heat and light, your roller blinds can provide total sun block out or allow filtered light into your rooms. Over 30% of unwanted heat loss in winter and heat gain in summer takes place through windows. Reduce that heat transfer and you can reduce your power bills. Different rooms have different privacy issues, which is especially true in bathrooms, bedrooms and children’s rooms. Roller blinds have the versatility to perform anywhere. You can save finger marks and stains by having your roller blinds motorised and operated using a remote control or switch. The Roller Blind has made a huge come back from the old spring operated “Holland Blinds”. The introduction of chain operation and advances in components and fabrics has reinvigorated this product to unprecedented demand. Just look at the photos of this great product and let them speak louder than words.